“It is hereby ordered that any person who lives, works or resides within the 11205, 11206, 11221 and/or 11249 zip codes and who has not received the MMR vaccine with in forty eight (48) hours of this Order being signed by me shall be vaccinated against measles unless such person can demonstrate immunity to the disease or document to the satisfaction of the Department that he or she should be medically exempt from this requirement,” Oxiris Barbot, commissioner of the New York City Department of Health, said in an order released Tuesday. 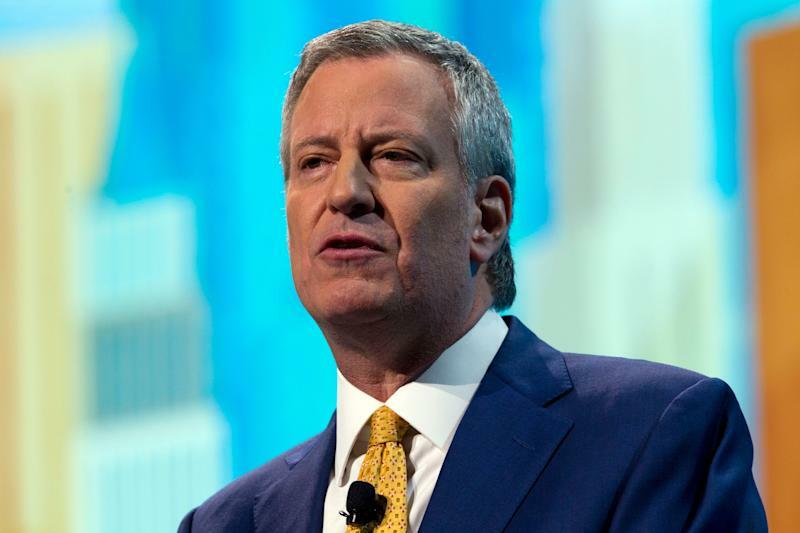 The measles outbreak has sickened 285 people in the city since October, and the rate of infection has increased over the last two months, Mayor Bill de Blasio said at a Tuesday news conference. Those who refuse to get the measles, mumps and rubella vaccine face a $1,000 fine, de Blasio said. Barbot made clear that the goal of the emergency declaration was public safety. “The point here is not to fine people but to make it easier for them to get vaccinated,” Barbot said at Tuesday’s news conference. There are no exemptions for religious practice or personal belief. Mainstream Jewish teaching does not prohibit vaccination, and most rabbis are encouraging parents to have their children immunized. A small anti-vaccine movement has been spreading misinformation in the religious community about the issue. As skepticism over vaccines has increased in recent years, the number of cases of preventable diseases has spiked accordingly. Since Jan. 1, the Centers for Disease Control and Prevention have reported 387 cases of measles, more than all reported cases in the U.S. in 2018. Officials in Rockland County, a New York City exurb where many ultra-Orthodox Jews reside, have also declared a state of emergency, and have barred unvaccinated minors from public places. Bringing an unvaccinated child into a public place is now a misdemeanor punishable by six months in jail and/or a $500 fine.